The Cambro PSB10176 Camwear® round pebbled bowl has a 3.2-quart capacity, made of break-resistant, durable polycarbonate. Its textured exterior provides an elegant design, and its smooth interior simplifies cleaning. It is great for desserts, salads, and fruit. 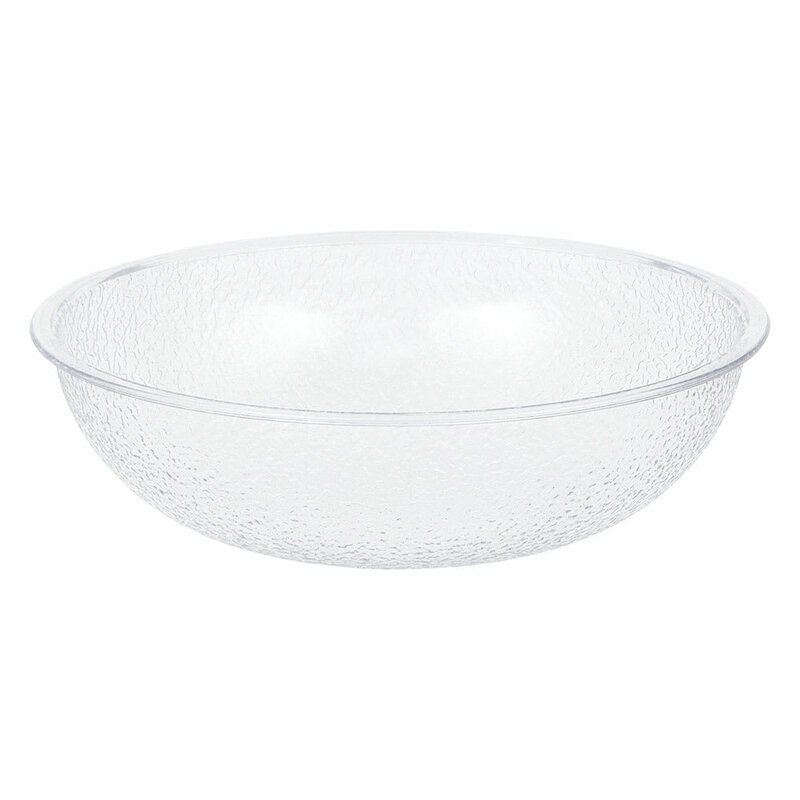 Visit our dinnerware guide to learn more about bowls.